An update to Vol. 4, pp. 1412–1415. 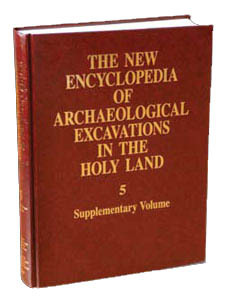 Excavations continued at Sumaqa in 1992–1995, under the direction of S. Dar on behalf of Bar-Ilan University. In the built-up area of the site, excavations were carried out in two residential complexes (2 and 6), two olive-oil presses (4 and 31), a winepress (70), workshops (3 and 5), and a reservoir (10); outside the inhabited site, in four winepresses (8, 12, 471, and 472), four workshops (8, 19, 20, and 32), two trenches in the agricultural terraces (area 33 and 34), and trenches in the check-dam complex (areas 14 and 35). Five burial caves (2, 3, 5, 12, and 14), as well as the agricultural area and terraces, were thoroughly investigated and mapped. Fourteen additional burial caves, two large open reservoirs, one reservoir with a vaulted roof, caves, farm buildings, animal pens, a farmhouse, and six workshops with grooved columns were examined.